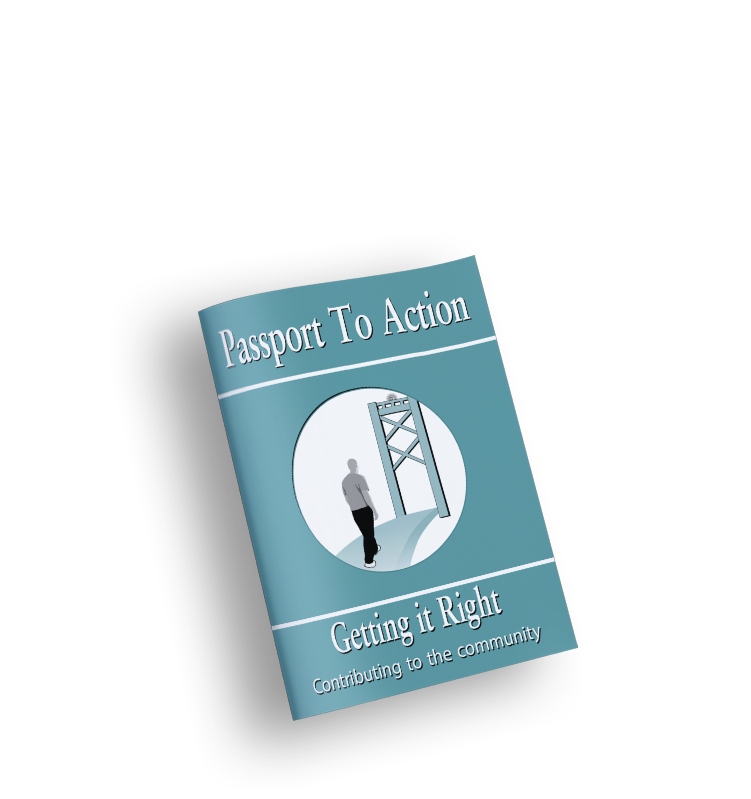 The Getting it Right: Contributing to the Community Program applies the latest research in criminal justice and personal change theory for participants preparing to leave the criminal justice system. 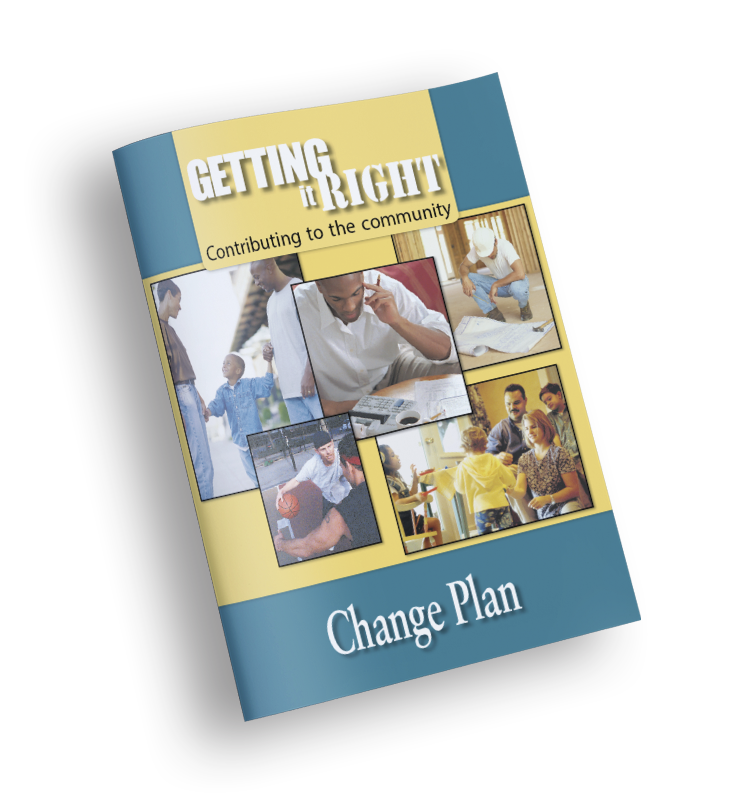 The program features Rational Self-Counseling as used by the Federal Bureau of Prisons, the Transtheoretical Model of Change (Stage Model of Change), Social Learning Theory and Interactive Journaling®, providing structured programming to facilitate successful transition and community reintegration. 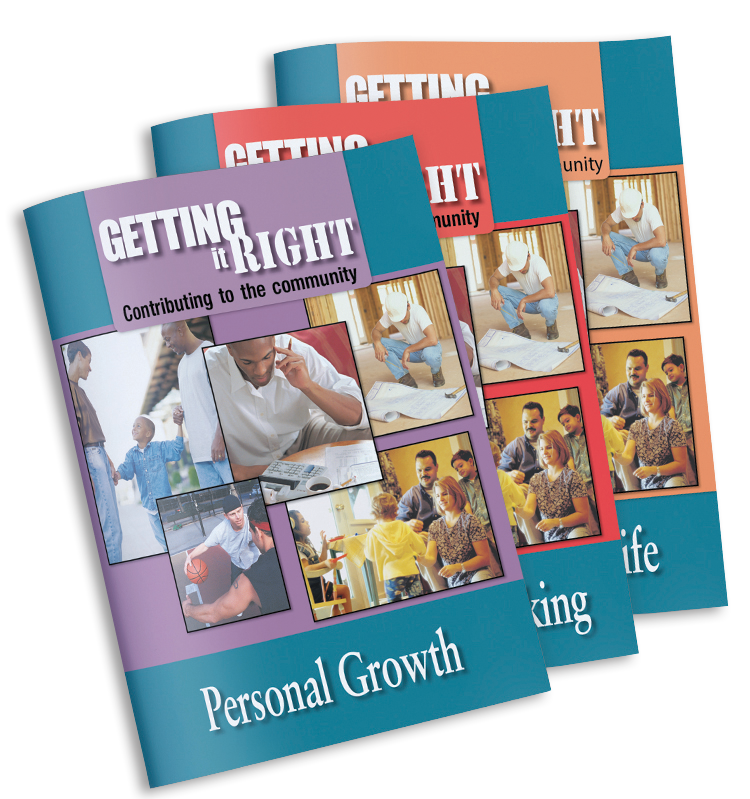 There are five Journals in the Getting it Right Program to help participants make the transition into the community and toward responsible living, a thorough Facilitator Guide to help program staff maximize the use of the Journals and a Passport to Action to help your participant keep all of his or her most important information in one place. 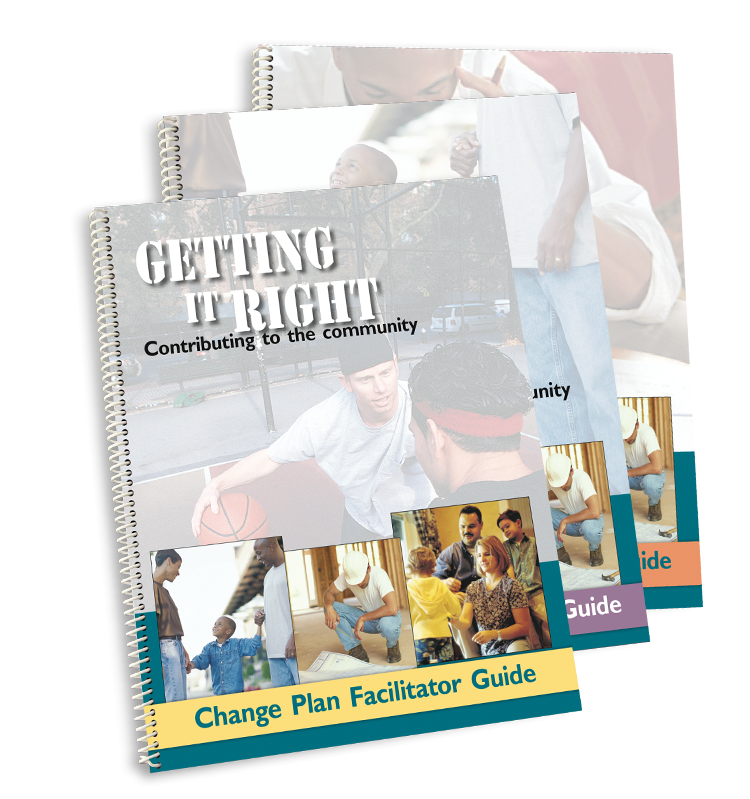 The Getting it Right: Contributing to the Community Program brings organization and structure to your program and creates a permanent record of personal life change for every participant. A significant portion of this Interactive Journaling® series has been adapted from content developed in collaboration with the Department of Justice, Federal Bureau of Prisons.